Lovebytes currently holds an archive of digital media assets representing 19 years of the organisation’s activities in the field of digital art and a rich historical record of emerging digital culture at the turn of the century. It contains original artworks in a wide variety of formats, video and audio documentation of events alongside websites and print objects. In June 2013 we were delighted to receive an award from SPRUCE, which enabled us to devise and test a digital preservation plan for the archive through auditing, migrating and stabilising a representative sample of material, concentrating on migrating digital video and Macromedia Director files. Alongside this we developed a Business Case, which makes the case for preserving the archive and describes the work that needs to be done to make it accessible for the benefit of current and future generations, with a view to this forming the basis of applications for funding to continue this work. 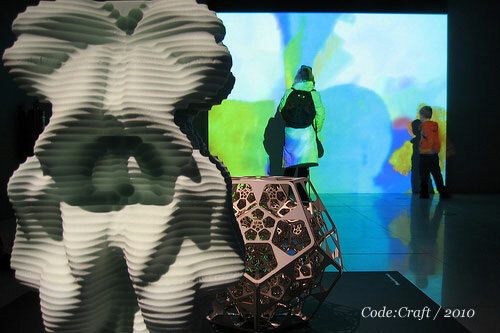 Lovebytes was set up to explore the cultural and creative impact of digitalisation across the whole gamut of artistic and creative practice through a festival of exhibitions, talks, workshops, performances, film screenings and commissions of new artwork. We wanted the festival to be a forum to pose open questions about the impact of digitalisation for artists and audiences, in an attempt to find commonalities in working practice, new themes and highlight new and emerging forms and trends in creative digital practice and also provide support for artists to disseminated and distribute their own work through commissions. This was a groundbreaking model for a UK media festival and established Lovebytes as key player amongst a new wave of international arts festivals. The intention in developing a plan for Lovebytes Media Archive is to look at how best to capture the 'shape' of the festival by and how to best represent this in creating an accessible version of archive. Develop a workflow for the migration of the digital files and interactive content, progressing on from work done during SPRUCE Mashup London. Tackle issues around dealing with obsolete formats and authoring platforms used by artists (such as Macromedia Director Projector files) and look at ways of making this content more accessible whilst also maintaining original copies for authenticity. Research and develop systems for transcription, data extraction and the use of metadata to increase accessibility of the archive. Report on progress and share our findings for the benefit of the digital preservation community. Develop a digital preservation Business case, with a view to approaching funders. We started by developing a research plan for a representational sample of the archive (see below), focusing on one festival, rather than a range of samples from over the 19 years. We selected the year 2000 as this included a limited edition CD Rom / Audio CD publication which contains specially commissioned interactive and generative artwork in a variety of formats. Additional assets in the representation sample include video documentation of panel sessions, printed publicity, photographs, press cuttings and audience interviews in a wide variety of formats. Planning for future accessibility and interpretation. Prototyping a search interface to provide access to the archive (with Mark Osborne from Nooode). Data integrity is paramount in digital preservation and requires utmost scrutiny when dealing with 'born digital' artworks, where every aspect of the artists original intentions should be considered a matter for preservation and any re-presentation of a digital artwork can be regarded as a reinterpretation of the work. In all cases, the most urgent work was the migration of data to stabilise and secure it. Amongst the wide range of formats we hold, CDs and CD ROMs are prone to bit rot and other magnetic formats can degrade gradually or be damaged by electrical and environmental conditions or easily damaged during attempts to read or playback. The majority of our preservation work was to migrate from a wide variety of formats to hard drive, essentially consolidating our collection into one storage medium, which is then duplicated as a part of a back up routine. Migrating obsolete files and addressing compatibility issues. Migrating DV tapes and transcribing panel sessions with a view to researching how transcriptions could be used for text based searches of video content, and how this can be embedded as subtitles using YouTube. Lovebytes website is currently offline, although is captured on the British Library's UK Web Archive. Prototyping a searchable web interface and exploring the potential for using ready-made, free and accessible tools for transcription dissemination. We learned some valuable lessons on the way that we'd we like to share with likeminded organisations, especially those who have limited resources and are looking to preserve their own digital legacy on a tight budget. Our findings have been compiled into a detailed report, providing a workflow model which makes recommendations for capturing, cataloguing and preserving material. It outlines our research into preserving artwork on obsolete formats and authoring platforms, as well as systems for transcription, data extraction and the use of metadata to increase accessibility of the archive. We wanted to begin looking at the preservation issues for our collection and devise our own systems and best practice, therefore the recommendations reached for preserving digital assets in various media formats reflect the organisational needs of Lovebyes and might not align with another organisations goals. We used the Digital Preservation Business Case Toolkit to help us get started on our Business Case. This was a fantastic resource and helped us shape our Case and consider all the information and options we needed to include. The Business Case will form the foundation for applications for public and private funding and will be tailored to meet specific requirements. Through writing this, we were able to identify the potential risks to the archive, its value and how we might restage artworks or commission artists to use data from it within the preservation process. As non-experts in digital preservation we knew we were about to encounter some steep climbs and were initially apprehensive about what lay ahead, given that most of our material had been sat in a garage for ten years. Our collection, until then, had remained largely un-catalogued and aside from being physically sealed in oversized tupperware, the digital assets had been neglected. Many items were the only copy, stored in one location in danger of decay, damage or loss. As a small arts organisation recently hit by cuts to the art funding, Lovebytes and its archives were in a precarious position; unsupported and vulnerable. The SPRUCE Award gave us the opportunity to take a step back and re-evaluate these assets, making us aware of their value and the need to save them and to start the preservation process. It has given us the opportunity to explore solutions and devise our own systems for best practice within the limited resources and funding options available to us. 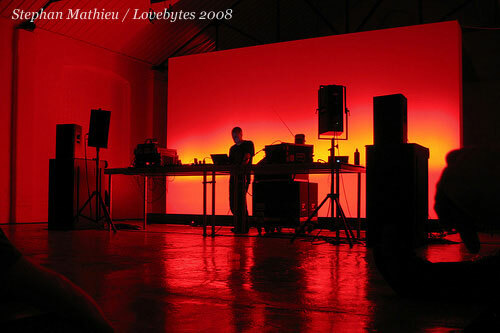 It has allowed us to crystallize our thoughts around using the Lovebytes Media Archive to investigate digital archivism as a creative process and specifically how digital preservation techniques may be used to capture and preserve the curatorial shape and context of arts festivals. By using available resources and bringing in external expertise where necessary, we found this process rewarding both in terms of developing new skills and also reaffirming in terms our past, current and future curatorial practice. Having undertaken this research we now feel positive about the future of the archive and have a clear strategy for preservation and a case to take to funders and partners to secure it as an exemplar digital born archive project which attempts to capture preserve and represent the history of Lovebytes as a valuable record of early international digital arts practice at the turn of the century.